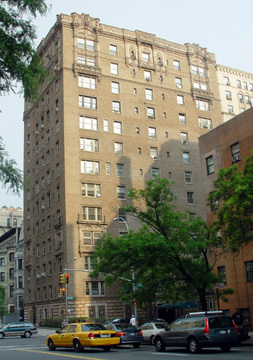 This very distinguished looking building was erected in 1912 and converted to a condominium in 1984. 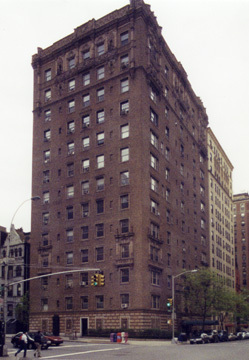 The 13-story, dark beige brick building has 43 apartments. It was designed by Mulliken & Moeller. The building has a one-story, rusticated limestone base over a half-story granite base and excellent first floor window grates. The building has a canopy flanked by lanterns, a doorman and a step-up entrance and lush landscaping. 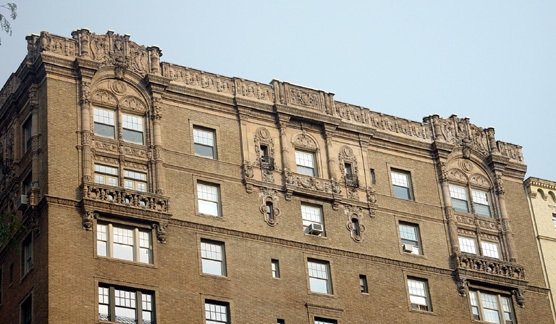 The building, which has ornate window reveals highlighting the top of its facades and a couple in the base, has consistent fenestration and permits protruding air-conditioners. It has an excellent location, one block from excellent cross-town bus service and one block from a local subway station at Broadway. 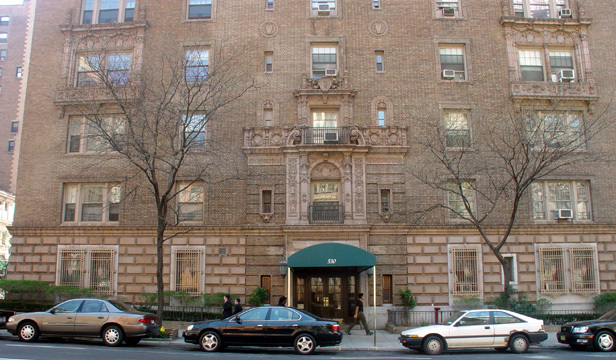 This is a prime area of the Upper West Side that has fine neighborhood shopping and restaurants nearby. Unfortunately, for many years the building is across the avenue from a very unattractive, five-story, orange-beige brick building but in 2009 Extell Development replaced it with a large "luxury" condominium apartment building with a curved corner.